The Analects are a collection of Confucius’s sayings brought together by his pupils shortly after his death in 497 BC. Together they express a philosophy, or a moral code, by which Confucius, one of the most humane thinkers of all time, believed everyone should live. Upholding the ideals of wisdom, self-knowledge, courage and love of one’s fellow man, he argued that the pursuit of virtue should be every individual’s supreme goal. And, while following the Way, or the truth, might not result in immediate or material gain, Confucius showed that it could nevertheless bring its own powerful and lasting spiritual rewards. 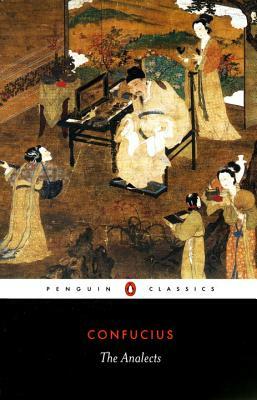 This edition contains a detailed introduction exploring the concepts of the original work, a bibliography and glossary and appendices on Confucius himself, The Analects and the disciples who compiled them. Confucius (551-479 BC), though of noble descent, was born in humble circumstances. He believed that politics is only an extension of morals, and spent ten years travelling through the various states of China spreading his ideas. When he realised that there was no way of converting the feudal rulers to his way of thinking he returned to Lu and spent the rest of his life there teaching his pupils. D.C. Lau read Chinese at the University of Hong Kong, and, in 1946, he went to Glasgow, where he read philosophy. In 1950 he entered the School of Oriental and African Studies in London to teach Chinese philosophy. After lecturing in Chinese philosophy at the University of London he returned to Hong Kong, where he is a Professor at the Chinese University.